Some highly-placed personalities are behind Badoo cult, alleges OPC leader, Gani Adams – Royal Times of Nigeria. 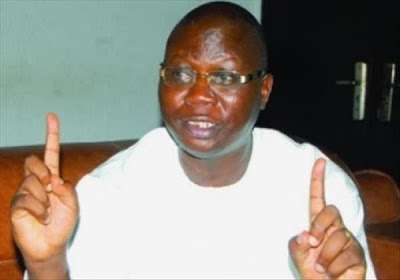 National Leader of the Oodua Peoples’ Congress, OPC, Gani Adams, in an interview with TVC yesterday alleged that some highly placed personalities are involved in the notorious cult group, Badoo, that have carried out series of attacks in the Ikorodu town. He said; “For about two and half years, our coordinators in Ijede have been giving us a lot of information about Badoo. We realized that some highly-placed personalities were involved. They use vacancy adverts, among others, to lure would-be Badoo members and they put up some telephone numbers. When you call the numbers, they will call you to come to their office and they will give you money for empowerment, like N250,000. From what we have gathered, they normally buy the (bloodstained) handkerchiefs for N500,000, N1m or N1.5m. A common man cannot afford that money. It is being organised by some prominent people. The Lagos State Government plays partisan politics with the lives and property of people whereas the first duty of government, whether federal, state or local, is to make sure the lives of the citizenry are protected”. Adams also refuted claims that some monarchs were behind the secret cult group. According to him, he can agree with allegations that some chiefs and groups are members of the cult but he would never agree that a monarch is involved in the cults activities.